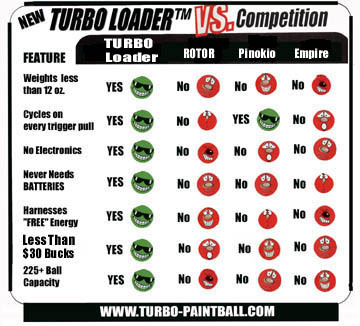 "Worlds First Pneumatic Paintball Loader"
Allen Paintball Products, Inc. is the Exclusive Distributor for the entire Turbo Loader Product Line of performance loaders. 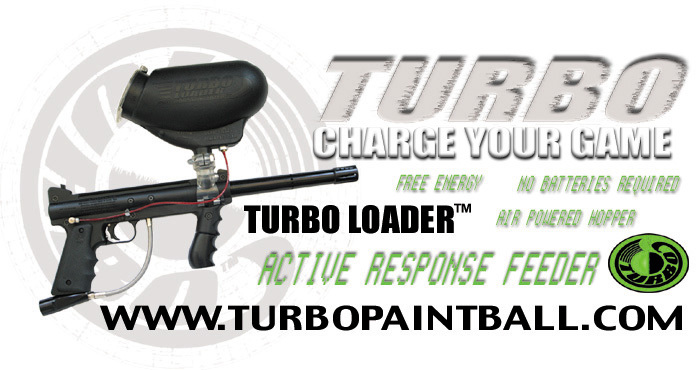 225 ROUND TURBO LOADER Tippmann 98 . 225 ROUND TURBO LOADER Tippmann 98 with RT and Autococker System. 225 ROUND TURBO LOADER Spyder . Older TIPPMANN 98 Pre-Custom 98.